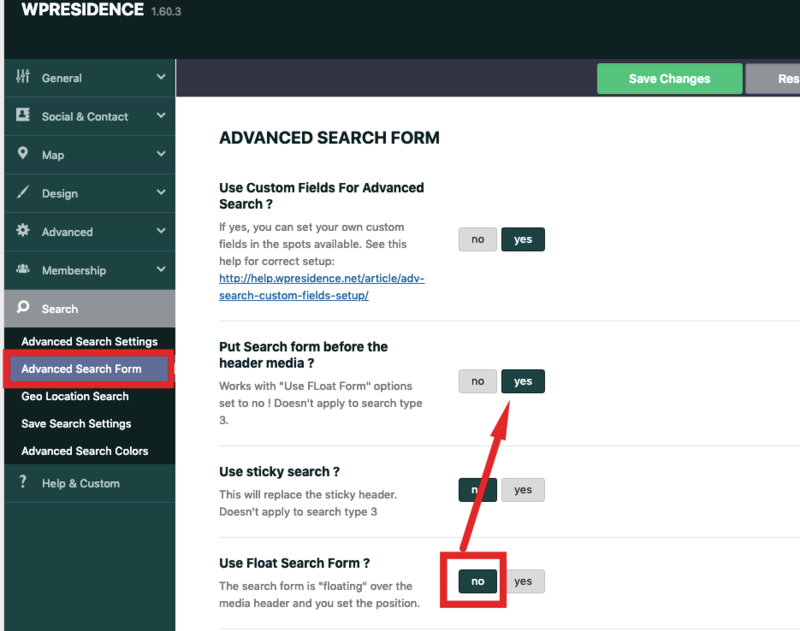 New search types that require additional settings from Theme Options->Search->Advanced Search Form. 2. 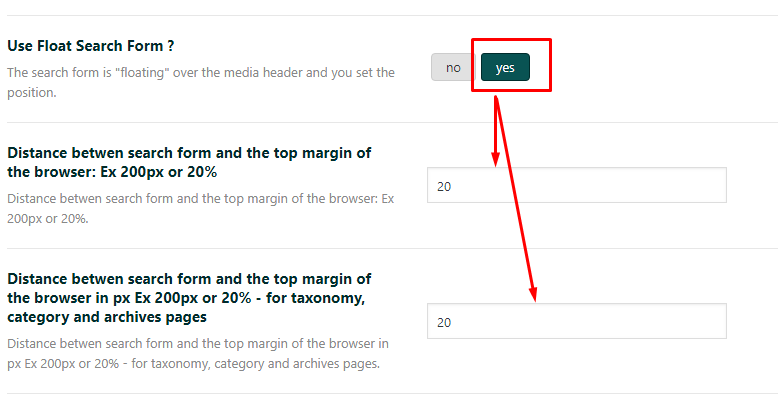 Put Search form before the header media? 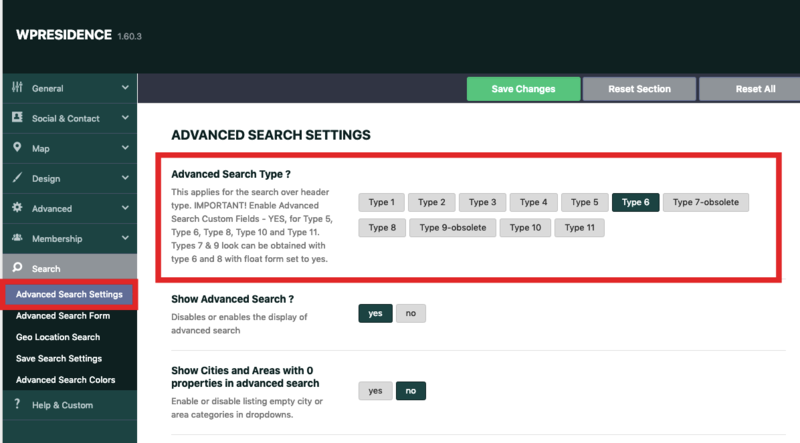 Sticky search replaces sticky menu when enabled. 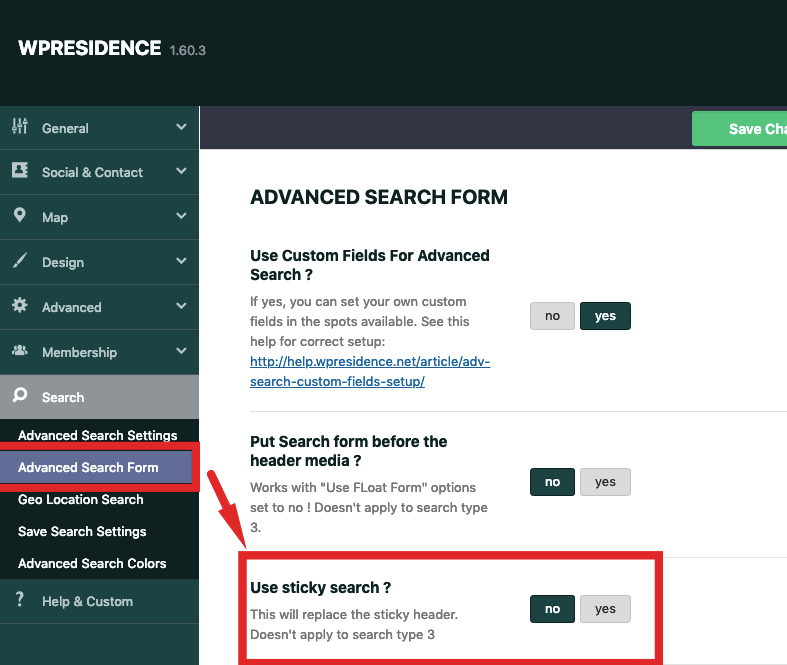 You must disable sticky search and the menu will be sticky instead. 4. 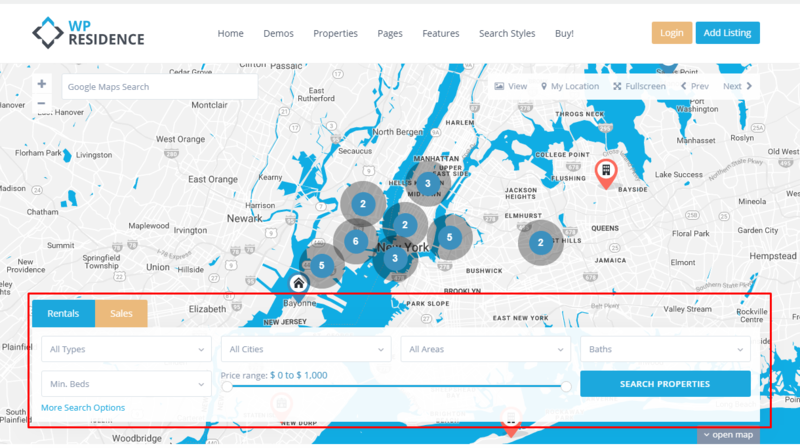 Use Float Search Form? 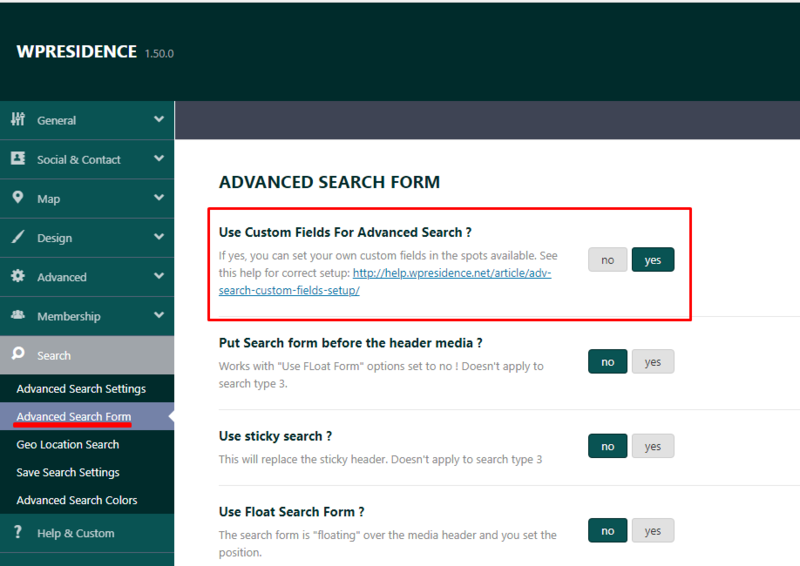 With this option, you will be able to set how many fields will be included in the Advanced Search form. 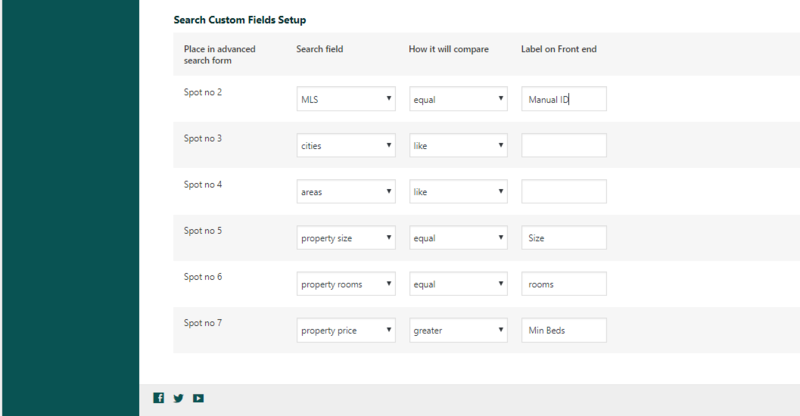 The maximum number of rows supported on the search form is 4, but you can also select 1, 2 or 3 fields. 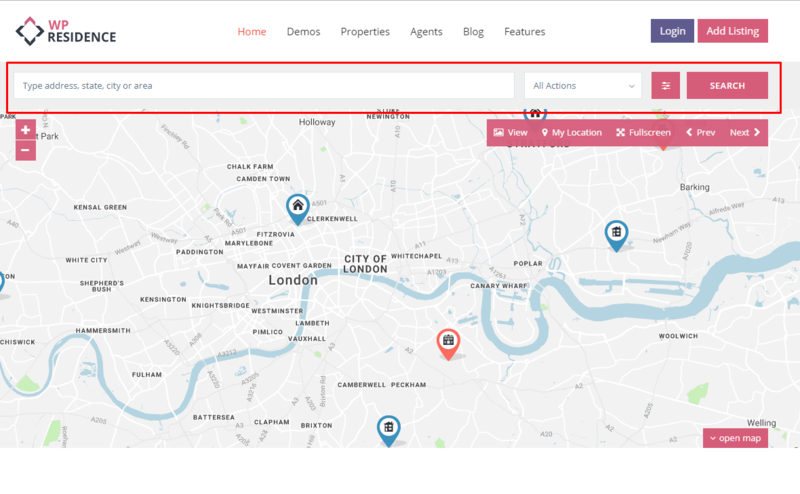 The next step is to press Save Changes button again, so the change show on front end as well.